Anyone looking for an uplifting evening at the theatre should steer clear of London’s Playhouse Theatre at the moment. 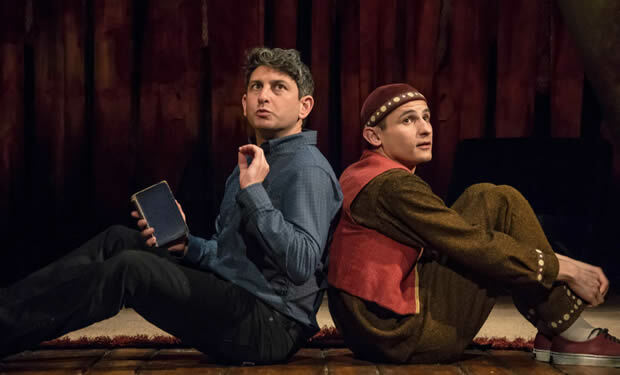 The Kite Runner is a far cry from the cheerful and upbeat spectacles at other West End theatres, but it is certainly a show worth seeing. It might be decidedly depressing, but the story is riveting and the acting is superb. An adaption of the novel published in 2003, The Kite Runner tells the story of two Afghan boys with a special relationship. Amir is the son of a rich man, while Hassan is their servant, but the two share an undeniable bond. They spend their days exploring the grounds of the opulent house and kite running through the streets of Kabul in what seems to be an idyllic existence, until the local bully does something which turns their worlds upside down. The story then spirals into one of guilt, lies, and redemption, with Amir only being given the chance to “be good again” once in San Fransisco, where he took refuge with his father after the Soviet Union’s invasion of Afghanistan. A heart-wrenching quest to make things right ensues, and the star of the show, David Ahmad (Amir), captivates the audience with his palpable anguish when it doesn’t go according to plan. Matthew Spangler’s stage adaption is simple but stunning, beautifully transporting the audience from 1970's Afghanistan to 1980's California seamlessly. Although there are some parts which are difficult to watch, and some fairly colourful language too, it’s an accessible and enthralling production. The 12-strong cast showcase their extreme talent by playing a multitude of characters each; with a particularly strong performance from Bhavin Bhatt, who plays Assef, the local sociopath. His crazed, hyena-like laugh is not only haunting but also scarily convincing. Some people argue that crucial detail from the book has been lost in the story’s transition into an on-stage adaption, but whatever might have been lost from the novel has been replaced by truly stunning theatrical performances. 8 June 2017 - "the story is riveting"